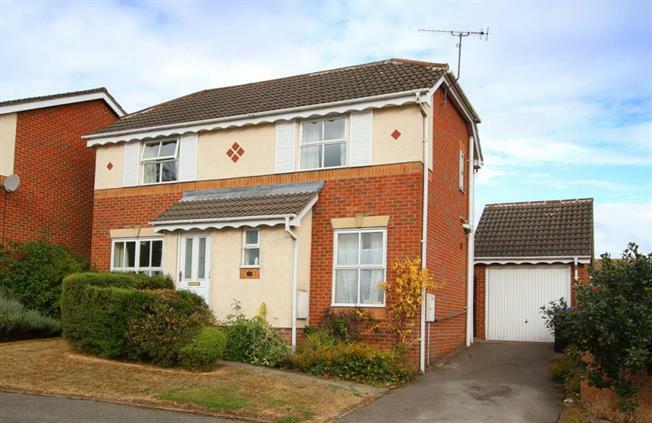 3 Bedroom Detached House For Sale in Sheffield for Guide Price £185,000. Offered for sale is this three bedroom detached house situated on a quiet cul-de-sac in the Longley area. The property is modern built house and is not over looked form the rear giving it privacy. The property would be of interest to those looking for their next move in the area and must be viewed to appreciate. The property is made up of a generous entrance hallway with access to the living room, dining room, down stairs w/c and the kitchen which is fitted with a range of matching wall and base units with work top over. To the first floor you will find a master bedroom suite with en-suite shower room and w/c, two further bedrooms and a family bathroom made up of a white suite comprising of panelled bath, low flush w/c and wash hand basin. Outside the house you will find a drive way leading up to a detached brick built garage, a front garden which is mainly lawned. To the rear is a nice sized garden which is again lawned with well stocked boarders. Located in this popular residential area means you have access to a number of local amenities such as local, shops, schools, doctors and supermarkets. The area is also well served with a number of bus services which give good commuter links to the city centre and the surrounding suburbs making this the ideal family home.